Filmmaker Shaun Scott. Image by Toryan Dixon. 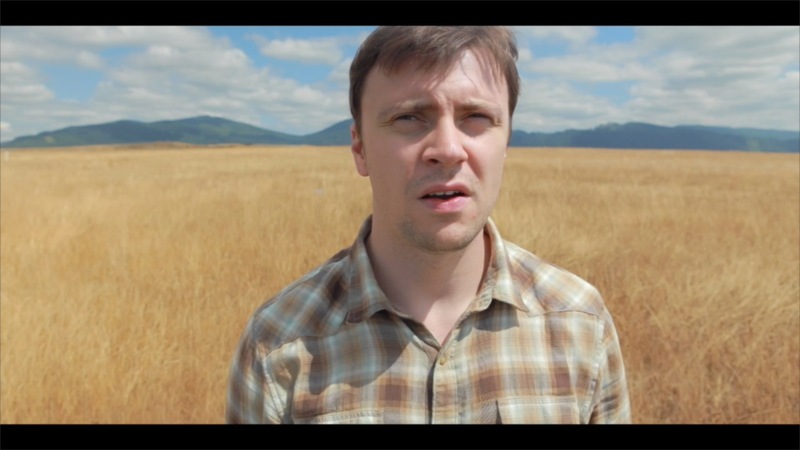 Seattle filmmaker Shaun Scott’s fourth film, Pacific Aggression, delves into the intricacies and intimacies of life within and without the digital world. Meryl Applegate (played by Libby Matthews) is on a digital fast of sorts after admitting she was online stalking writer Frank Waters (played by Trevor Young Marston), who had visited Seattle – and rendezvoused with Meryl – on a book tour two years prior. Frank, a writer whose preferred medium is pen and ink, takes a professional journey westward to begin a new writing project. He traverses Washington State, reluctantly writing a blog to document his trip. Meanwhile, he contacts Meryl and, as the two explore their relationship with media and their personal histories, they move closer to figuring out how to communicate with each other. The film is interspersed with archival footage that expands the story, encouraging contemplation of moments that might otherwise pass by without the full weight of their meaning. This historical emphasis reminds the audience that actions in the distant and near past continue to echo through daily life. I chatted with Shaun Scott, the film’s director and writer, about his latest film, the neo-Western, and the Seattle film scene. PNW-MRC: What was your inspiration for making this film? But more than anything, I think I’ve spent so much time watching and enjoying westerns that I wondered whether it would be possible to make a “neo-western.” So I took certain tropes of that medium–white flight from the east coast, contact with Natives, the sense of the west as a repository of wildness–and basically updated them to the 21st century. PNW-MRC: The idea of the “neo-western” for this film is intriguing. Can you elaborate a little more on that? SS: Traditional westerns in American History are derived from literature that usually depict a specific historical situation and place: 19th century America, when many western territories had yet to achieve statehood, and the western territories became synonymous with a certain lawlessness and social fluidity. But at a higher level of abstraction, the west is still a repository for alternative lifestyles, threatening social mores, progressive attitudes, as well as the presence of old biases. Like many cowboys and pioneers before and after him, Frank’s resurrection as a subject and as a soul hinges on the extent to which he gets closer to the ways of women and people of color. I also think Frank and Meryl betray their belonging to the postmodern cultural moment, in that their ideas and subjectivities can’t be separated from the images they’ve been fed. PNW-MRC: The threads of history that run throughout the film are so fascinating and rich — of each character and of people at a larger scale. Do you, as a filmmaker, intentionally aim to educate your audiences about history, race and ethnicity, and empire? SS: I mean, my first film was called “Seat of Empire” (2009), and it was a documentary biography of Seattle’s history since its inception in the 1850s. But for my fictional work, it’s a different dynamic: to the extent that this film projected the psyche and mind states of the characters, I had to portray just how much those psyches were informed by historical artifacts and symbols. So in “Pacific Aggression” the historical content is perhaps less pedagogical than it may seem, although I obviously do think there’s inherent value in the act of historical recollection. It’s an interesting question, because all film to some extent involves “educating” the audience about the world of the characters. PNW-MRC: Why did you choose to set and shoot “Pacific Aggression” in the Northwest? 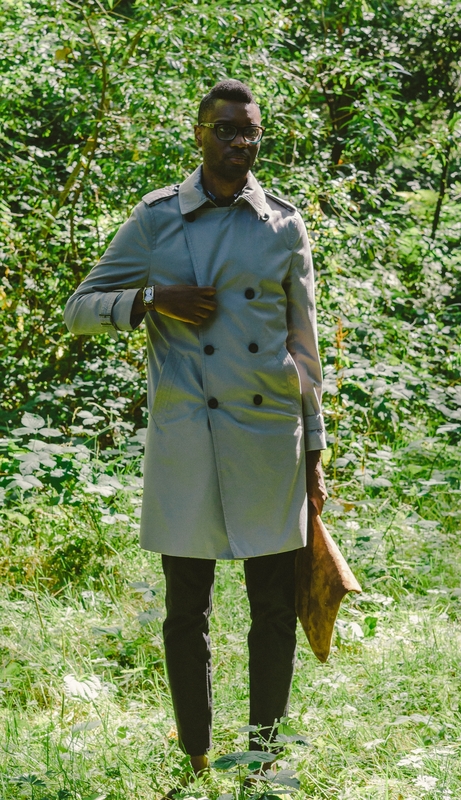 Actor Trevor Young Marston as writer Frank Waters. Image courtesy of Shaun Scott. PNW-MRC: How did you come by your film training? Did you go to film school or take film classes, or are you self-taught? SS: I’ve always had a knack for assemblage since my friends and I would cut classes in the library to create montages from footage we took from our VCRs back in high school. I made several documentaries in college, at the University of Washington. I made two documentaries in 2009 and 2010. But I’d say that my maturation as a filmmaker began in 2011, when I began making fictional features, and I began to become much more deliberate about my preparation and creative intent. I watch one film a day religiously, and am a pretty meticulous storyboarder; I study the careers of filmmakers–local, historical, and prominent—who I admire, and whose work I want to borrow from. I’m a lecturer at Shoreline Community College, so that’s given me the opportunity to double-down on my studies of film history, as well as practice simplifying and presenting those ideas to others. I have more that I want to accomplish in this medium than I can sometimes put into words, but at the same time I realize the need to make the most of each film as an opportunity to grow and expand my creative tool kit. “Pacific Aggression” is easily my best film and it’s also my latest, so I’m happy to say that I haven’t taken any steps backwards, and obviously don’t plan on it. PNW-MRC: Tell me about your experience working in film in Seattle and the Northwest. What is your impression of the filmmaking community in Seattle? SS: We’re coming into our own. I think that my class of filmmakers—those who are approximately 30 or younger–have great examples to learn from. A major turning point is going to come when our leadership in Olympia realize how important a competitive tax incentive is to retaining film jobs. I’ve made the decision to stay here and make films because I’m loyal as a dog, but not every filmmaker has that level of commitment to a particular place. At the end of the day the best thing filmmakers can do is use our means to make masterpieces. We have tremendous resources–Scarecrow Video, the fledgling SIFF fiefdom, literate and passionate filmgoers–and we should take advantage of them to outclass our peers in other cities. PNW-MRC: You lived in New York City until the age of 10. Do you think your childhood in NY has an impact or influence on the ways you approach filmmaking? SS: Great question, it really has. I think many filmmakers in Seattle tend towards performative and dramatic literacy, meaning that often times our visual and verbal literacy brings up the rear. It isn’t to say that we don’t make beautifully shot films with witty dialogue—we do–but it is to say that I think that area is where most of our room for improvement lies. After all, the beginning of the Seattle film nascence we’re in the middle of basically started with the intersections of dance cinema and “mumblecore” in the mid-2000s. When you watch many “quintessentially” Seattle films, it’s the acting and the character dynamics that get the headlines. I think I’m a bit of an outlier here because I pay a certain attention to sculpted language and crafted narratives and articulated chains of shots: I think I a lot of that has to do with my relationship with New York and New York filmmakers like Scorsese and Spike Lee and Woody Allen. So my fictional films have a certain intentional architecture: I don’t tolerate a lot of narrative sprawl, and I think that’s a reflection on the fact that my earliest memories are of a compressed metropolis where stories and people bounce off of one another like those ping-pong balls they get the lottery numbers from. PNW-MRC: What are you working on for your next project? SS: I have a period piece called “Their Eyes Were Watching The Light” in the works. It’s set in the summer of 1932, a time not too dissimilar from the summer of 2008, when the country was mired in a depression and on the precipice of profound social and economic change. Desperate for cash and inspired by the Lindbergh kidnapping which occurred earlier that year, a couple of outlaws decide to kidnap an affluent family’s daughter and their family’s maid. The 4 of them then spend 6 days together and bond in unexpected ways, until the illicit footing of their relationship threatens to force them apart forever. It’ll be out in late 2015 and I’m currently putting the screenplay together. 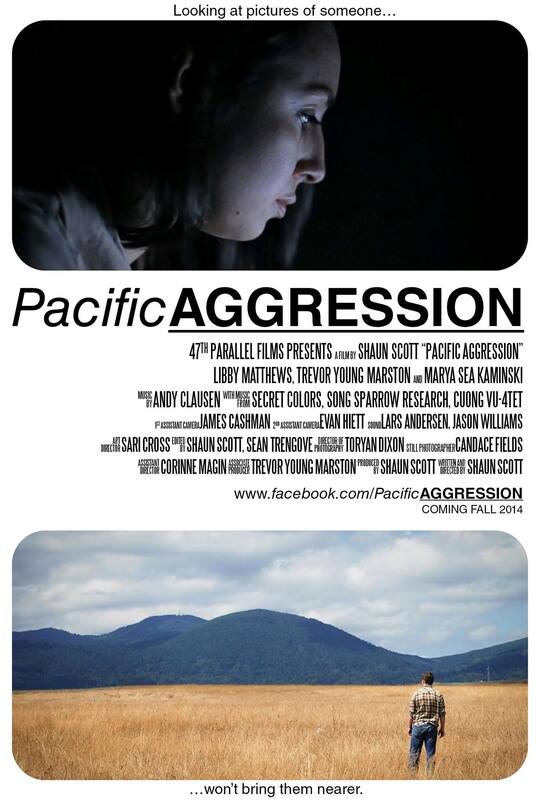 Pacific Aggression is playing at the Grand Illusion Cinema in Seattle through Thursday, October 9. Scott will also be in attendance at the Thursday screening for a Q&A session after the film. Visit http://www.grandillusioncinema.org/ for showtimes. Shaun Scott is online and on Twitter (@eyesonthestorm). Mary Erickson is Founder and Director of the Pacific Northwest Media Research Consortium. She is a film/media consultant and academic researcher. Her latest book, co-edited with Doris Baltruschat, is Independent Filmmaking Around the Globe, to be published by University of Toronto Press in December 2014.